We’ve made it to February but I am no less cold than I was in January. Even though I pride myself on not being an exact outfit repeater (I always try to vary one element to add something different to a look that I’ve previously worn) winter is the season where I most often find myself reaching for the same pieces over and over again. Those pieces, as I’m sure you can guess, are cozy and snuggly and can be layered up for days when it is particularly chilly. At the center of it all is the turtleneck. I used to not really wear turtlenecks that much, mostly because I get overheated quickly and didn’t necessarily like the idea of so much fabric around my neck, but when you find one in a dreamy fabric it can make a big difference. Take this pink one I’m wearing from Bershka. The fabric is acrylic and polyester so even though it’s not real wool it means that the fabric is automatically softer and therefore more enjoyable to wear. 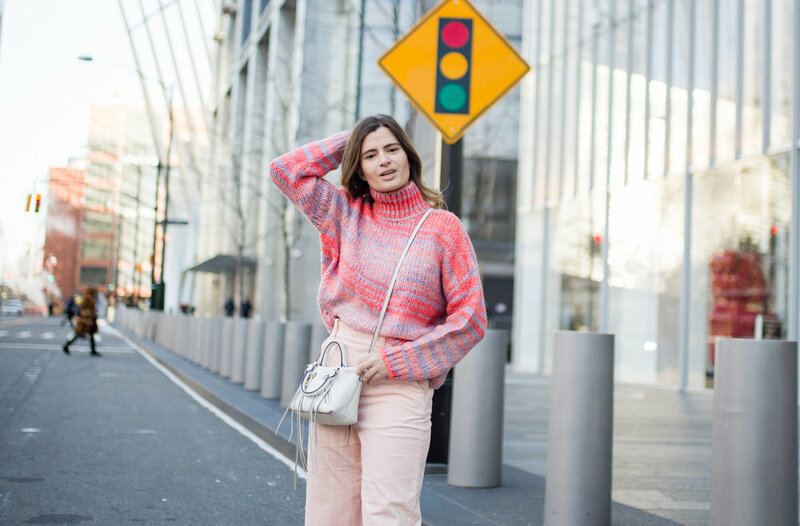 I put together this shopping guide of 21 turtlenecks that you can buy right now to make your winter wardrobe feel refreshed so that you can look cute and stay cozy. Which turtleneck is your favorite?